4 Bdrm Detached Dwellhouse. V/bule. Reception hall. Lounge. Family rm. Kitch. Dining rm. Utility rm. Cloakrm with wc. 4 Bdrms 1 with ensuite bathrm. Shower rm (CT Band - G). Garden. Double Garage. Parking. 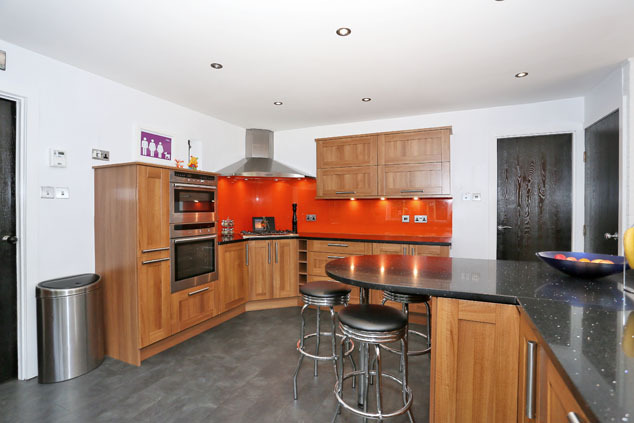 Price over £350,000 Entry by arr. Viewing 01358 761292 or contact solicitors. Below Home Report Valuation (EPC band - D). 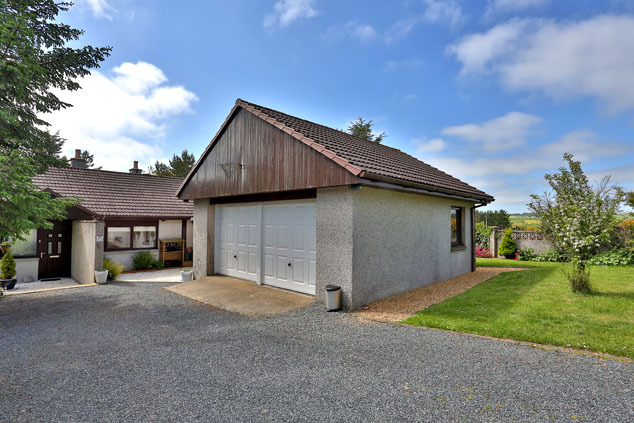 This stunning, beautifully presented detached four bedroomed family home with double garage enjoys a tranquil setting, close to the small hamlet of Ythanbank, offering an ideal opportunity to reside in pleasant surroundings, away from the pressures of the city, and yet with ease of access to Aberdeen, Bridge of Don and Dyce. Upgraded to a very high standard throughout, it offers the opportunity to acquire an immaculate, ready to move into home with the minimum of inconvenience and includes a striking lounge, family room, a beautifully fitted kitchen/dining room on split level open plan, utility room, cloakroom/w.c., luxury family bathroom and four double bedrooms, with en suite shower room to the master. 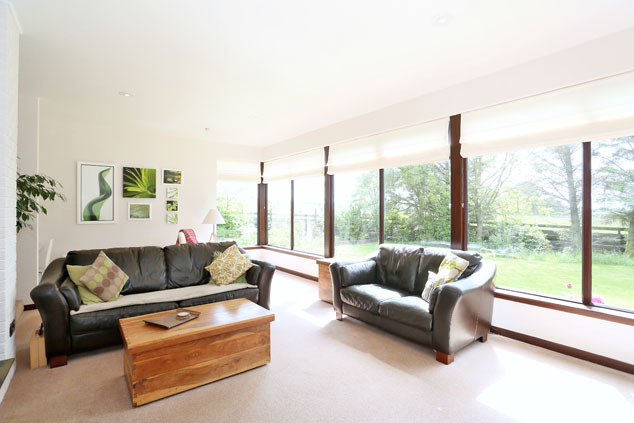 The property also benefits from full double glazing and oil central heating and is fitted with quality floor coverings throughout. 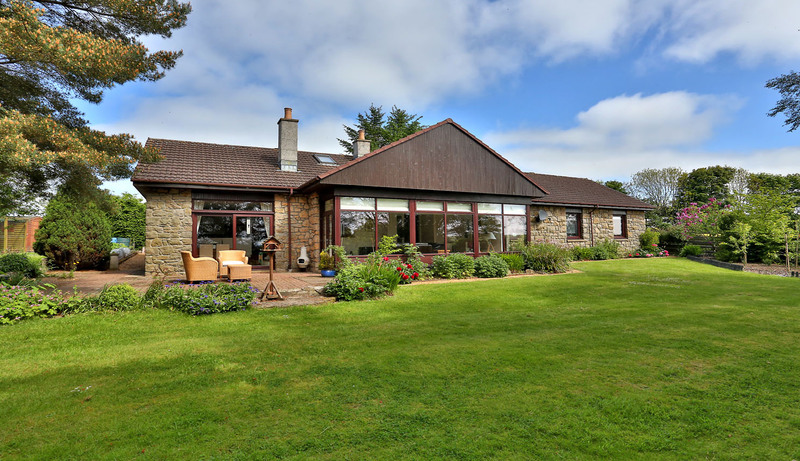 Standing within sizeable, mature gardens, the position of the property affords tremendous views across the Ythan valley from all aspects. 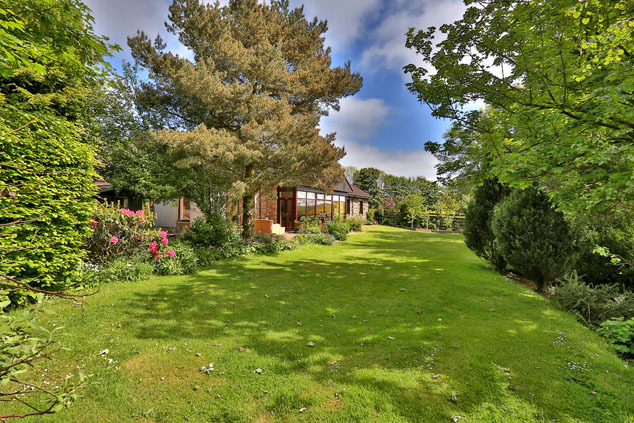 Early viewing is essential to fully appreciate this unique property and its many features. 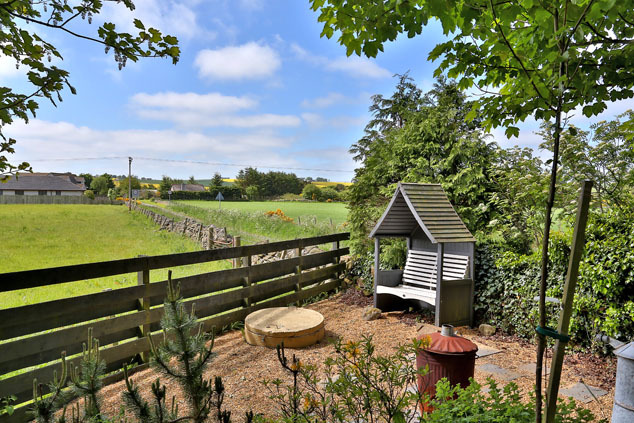 Ythanbank is a small, pleasant hamlet of privately built homes, lying approximately 4 miles west of Ellon, a thriving country town on the banks of the River Ythan situated midway between Aberdeen and Peterhead and only 15 miles from Aberdeen Airport. It is an ideal base for commuters to the commercial and oil centres in the north east. The shopping facilities cater for most everyday needs and amenities include three banks, three churches and four hotels. There is a large, modern Health Centre complimented by an Ambulance Station. Recreational and sports facilities include fishing, golf and bowling. A sports development includes all weather floodlit pitch and facilities for a variety of sports including indoor tennis and badminton courts and a fitness club. Ellon also has a good academic reputation with three primary schools and the new Ellon Academy Community Campus with sport and recreation facilities. Vestibule 6’3” x 5’8” [1.92m x 1.77m] approx. A bright vestibule, fitted with wooden flooring. Opaque glazed inner door to hall. Reception Hall An attractive, welcoming hall, fitted with a built-in double cupboard. Real wood flooring. Lounge 23’7” x 16’3” [7.23m x 4.97m] approx. A magnificent, elegant room, on split level with wall to wall picture windows offering panoramic views across the Ythan valley. 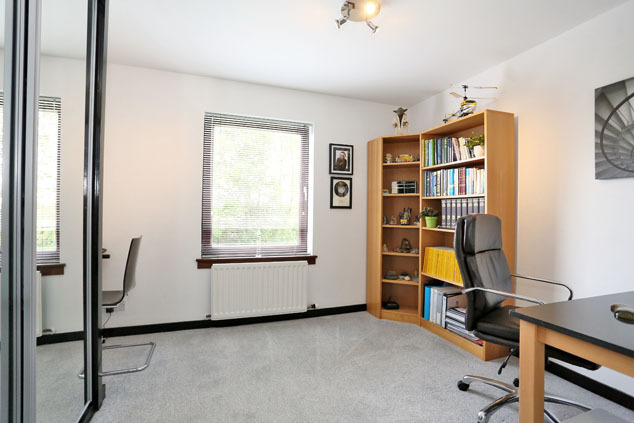 Presented in cream tones and fitted with a beige carpet, it allows ample space for furniture. A raised cream natural stone and slate tiled hearth with inset pebble effect bioethanol fire offers an eye catching focal point. Family Room 14’3” x 12’0” [4.37m x 3.66m] approx. 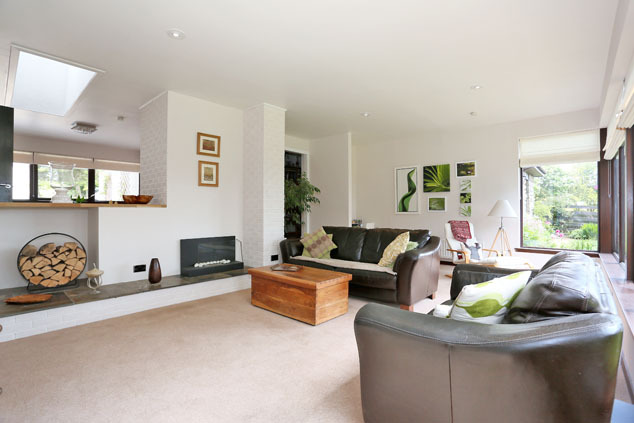 A bright room, on part open plan to the lounge and located off the kitchen. Picture window to rear. Real wood flooring. Kitchen 15’2” x 13’2” [4.63m x 4.03m] approx. A striking room, on split level open plan to dining room and fitted with a comprehensive range of walnut storage cabinets at wall and base level. 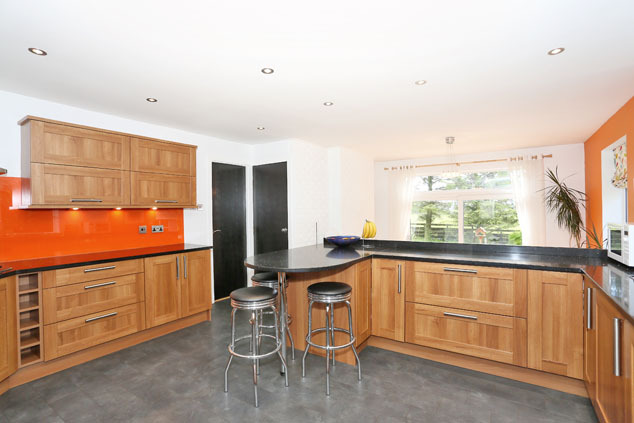 The generous runs of sparkle granite worktops incorporates a central breakfasting table for casual dining, orange glass splashbacks and a recessed 1.5 bowl sink with chrome mixer tap. The five burner LPG hob and overhead chimney style extractor, double oven, integrated fridge and dishwasher will remain. Tiled effect flooring. Window to side. Shelved airing cupboard. Dining Room 12’5” x 12’4” [3.80m x 3.77m] approx. An adaptable room, offering splendid dual aspect outlooks, incorporating a beautiful raised feature stone and slate tiled fire surround with inset pebble effect bioethanol fire. Laminate flooring. Rear Hall/Utility Room 18’9” x 10’7” [5.77m x 3.25m] approx. 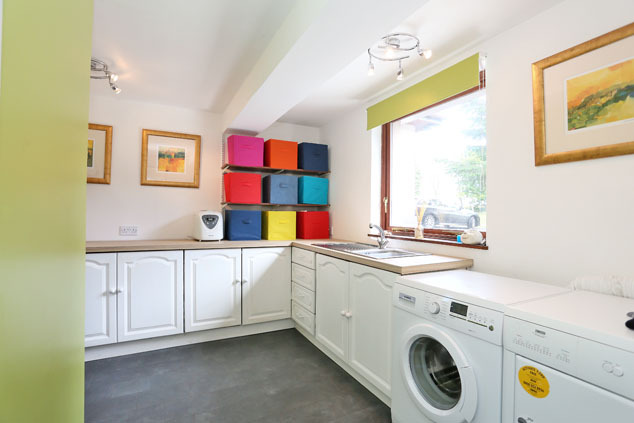 at widest Fitted with white wood storage cabinets and incorporating beech wood effect worktops and a stainless steel single drainer sink, with plumbing for an automatic washing machine and space for free standing appliances. Tiled effect flooring. Access door to garden. Cloakroom/W.C. Fitted with a two piece white suite. Window to side. Inner Hall A lengthy hall, giving access to the bedrooms and bathroom, fitted with real wood flooring. Built-in shelved cupboard. Master Bedroom 15’9” x 14’1” [4.84m x 4.29m] approx. 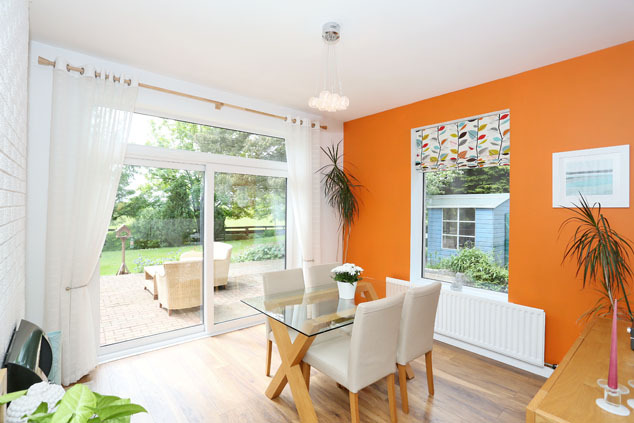 A generously proportioned room, exuding a wonderful bright ambience, with picture window to front and patio doors opening out to the garden at the side. 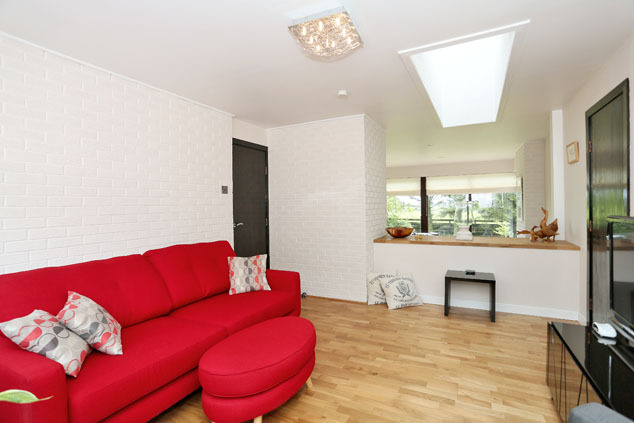 Stylishly finished in emulsion décor with a feature paper wall and fitted with real wood flooring, it offers ample space for furniture. An extensive built-in wardrobe with central mirrored doors offers ample hanging and storage space. En Suite Shower Room 13’9” x 5’3” [4.25m x 1.63m] approx. 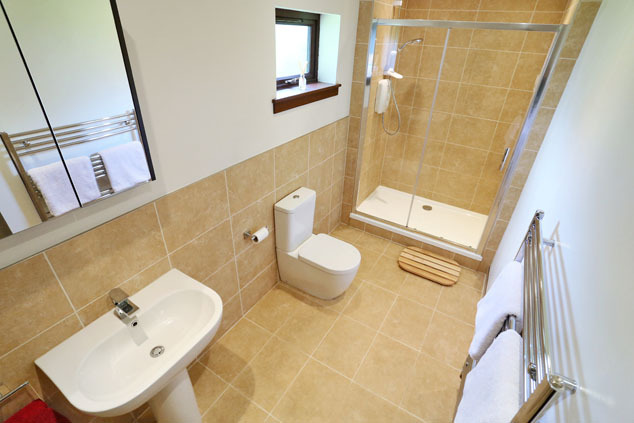 A modern, striking shower room, extensively finished with beige stone tiling and incorporating a white w.c., pedestal wash hand basin and double sized self contained shower cabinet with glazed shower door. Chrome towel radiator. Extractor. Opaque window to rear. The wall mounted cabinet and mirrored door cabinet will remain. Double Bedroom 2 11’8” x 10’7” [3.61m x 3.25m] approx. 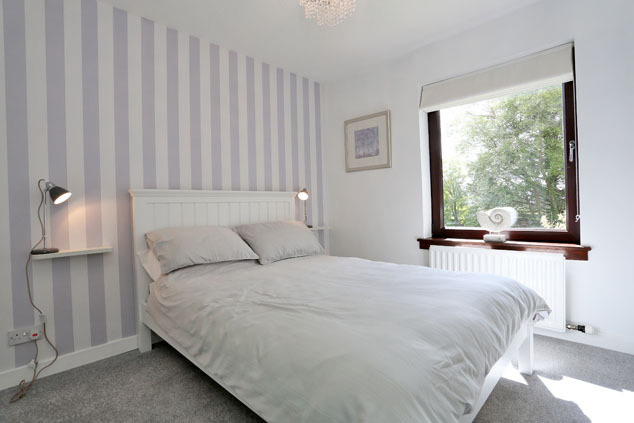 A most attractive and generously proportioned room, fitted with wall to wall built-in wardrobes. Wooden flooring. Window to rear. Double Bedroom 3 11’4” x 10’3” [3.46m x 3.13m] approx. 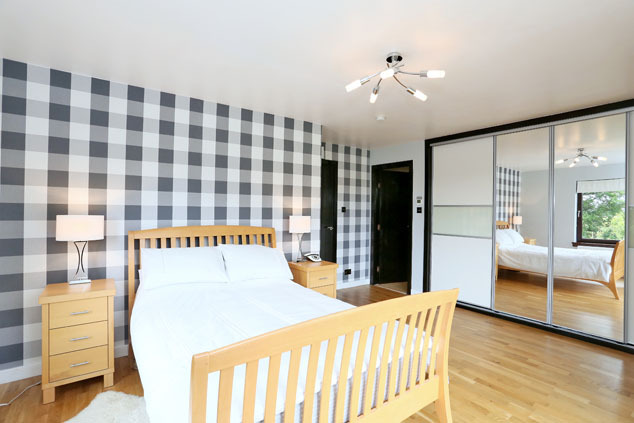 at longest A well appointed and stylishly presented room with built-in mirrored door wardrobe. This room enjoys splendid views across the front. Double Bedroom 4 11’6” x 9’7” [3.55m x 2.97m] approx. 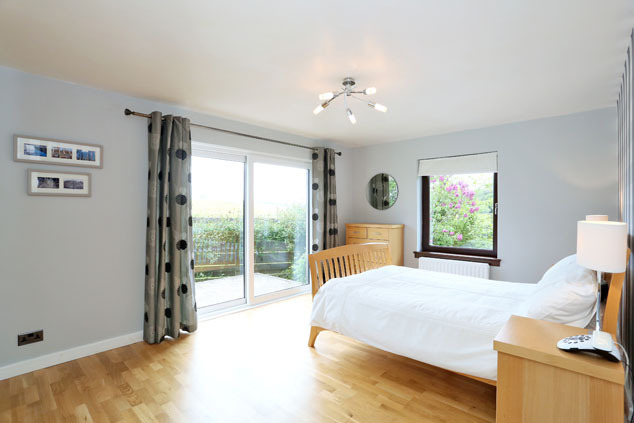 A tastefully presented room affording glorious views across the front, with built-in mirrored door wardrobe. Bathroom 10’8” x 7’10” [3.29m x 2.43m] approx. 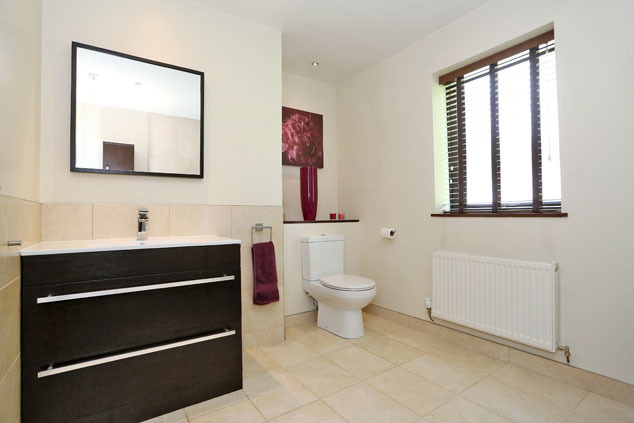 at widest Beautifully fitted and extensively tiled throughout, comprising a bath with overhead shower and glazed shower screen, w.c. and inset wash hand basin set into an attractive vanity cabinet with co-ordinating mirror above. Tiled flooring. Extractor. Opaque glazed window to rear. The walnut effect wall mounted cabinet will remain. Double Garage 20’4” x 18’6” [6.22m x 5.67m] approx. 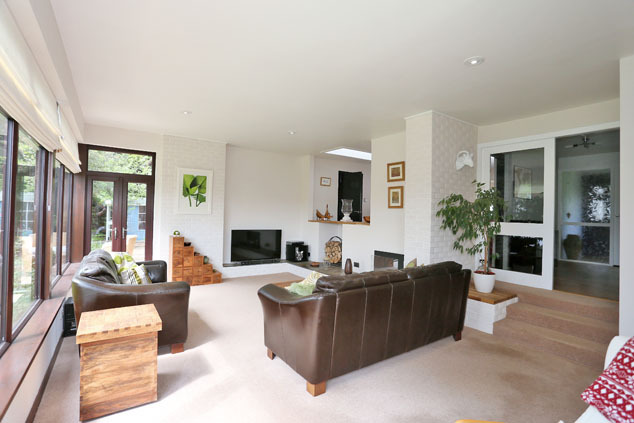 A spacious double garage with partially floored loft, accessed through twin up and over doors and equipped with power and light. 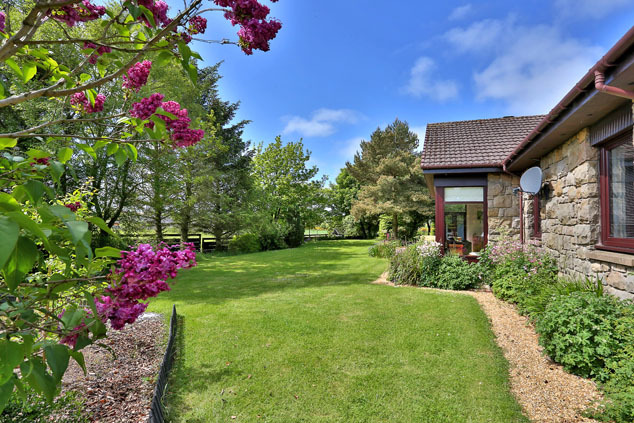 Gardens The property stands within extensive, well maintained gardens of considerable size which afford tremendous panoramic views from all aspects across the Ythan countryside. Double driveway gates give access to an extensive parking area at the rear. The gardens are partly laid to lawn and planted with an abundance of mature trees and shrubs which offer considerable seclusion and shelter. 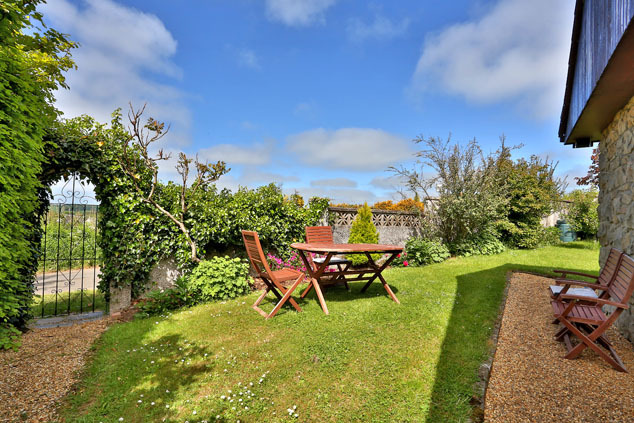 Gravelled walkways take you round the gardens to an extensive loc-bloc seating area at the front, offering an excellent spot for al fresco dining and admiring the excellent setting. Water tap. The summerhouse, shed and chicken run will remain. There is also a well appointed, secluded gravel chipped barbecue area at the far end of the garden. Directions From Ellon, proceed west along the B9005 signed Ythanbank/Methlick. Continue through Ythanbank and turn right at the sign for Schivas. The property is located a short distance along this road on the right hand side, as indicated by our for sale board. Notes Oil central heating. Full double glazing. EPC=D. 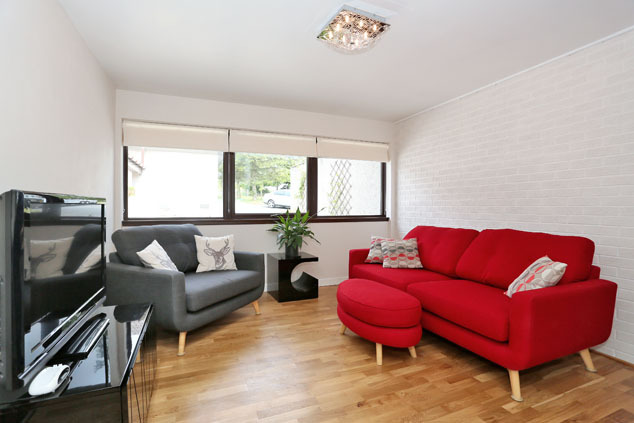 All fitted floor coverings, blinds and curtains to remain.